During the Victorian era the language of flowers, called Floriography, was used to convey secret messages between lovers and friends. In fact, it was so popular that volumes were filled with detailed information about the meaning and symbolism of each flower. While most Americans do not follow the traditional meanings of flowers when choosing and sending floral arrangements, knowing the background behind flower color meaning (and the meaning of individual flowers) helps you choose the right flowers for the right occasion. 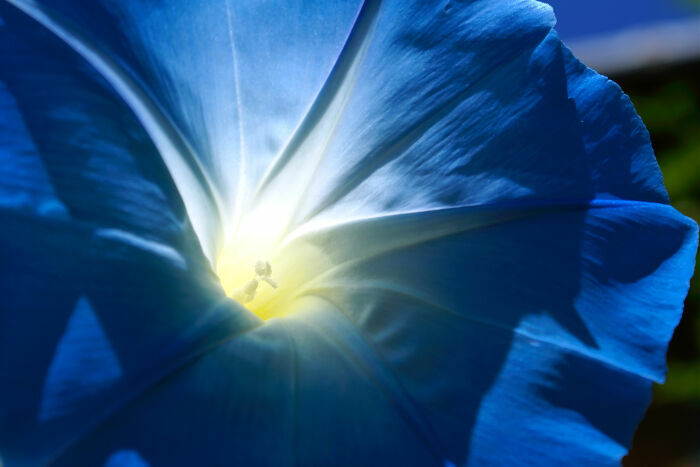 Are There Many Blue Flowers? 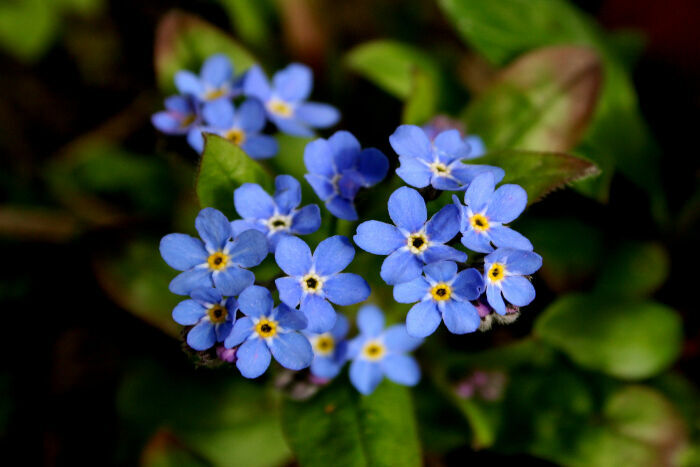 Forget-me-nots: These delicate blue flowers thrive in perennial beds in shade or partial shade and are delightful as cut flowers. 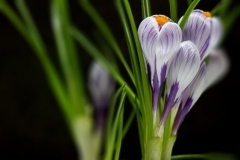 The dainty blooms are ideal as filler for floral displays. Morning Glories: These annual vines produce blooms in an array of colors including several shades of blue. They range from the pastel ‘Heavenly Blue” and “Blue Star” to deep blues found in the “Hazelwood Blues” collection. Iris: Wild irises, often called blue flag, grow along streams or in moist areas across the United States. 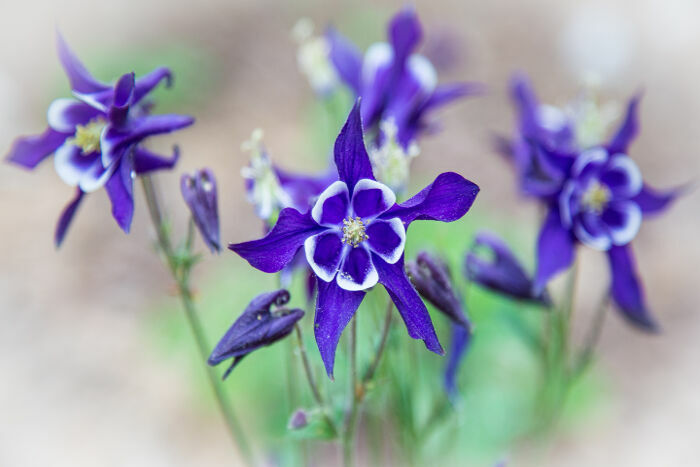 These flowers are a deep blue to indigo and make a striking addition to floral displays or wildflower bouquet. 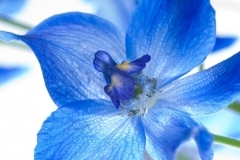 Cultivated irises can be grown throughout the U.S. and come in some striking shades of blue. Both bearded iris and Siberian Iris have blue varieties. 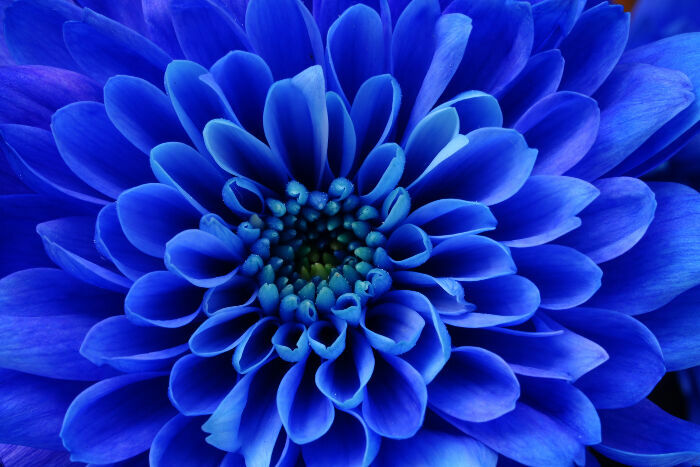 Bachelor’s Buttons: Blue bachelor’s buttons, also known a cornflowers, are annual flowers that thrive in full sun. They can be used as cut flowers to add color to floral bouquets, but are seldom used alone. 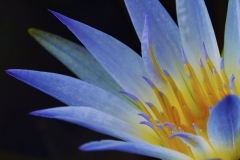 Lotus Flower: The blue lotus flower is steeped in symbolism. The Egyptians saw it as a symbol of life and rebirth. 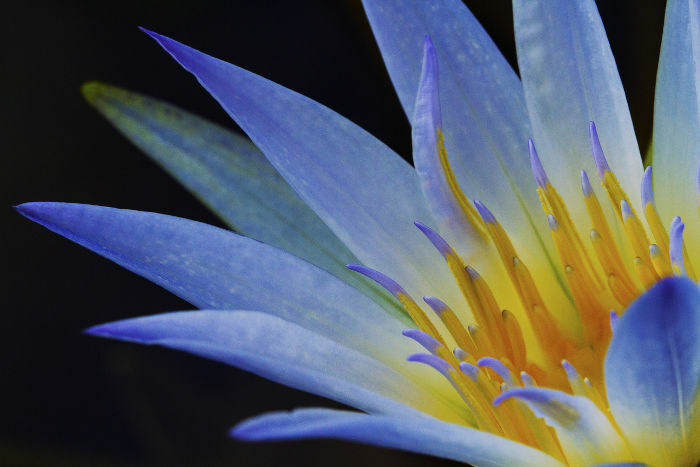 It also has special significance to the Buddhists who honor the blue lotus flower as a symbol of victory of the spirit. Petunias: Petunias range in color from white, pink and red to several shades of blue and purple. These flowers are most often presented in containers or hanging baskets and are suitable for gift giving for open houses, Mother’s Day or any time you wish to present a gardener with a useful gift. Hydrangea: These flowering shrubs produce showy heads of light to dark blue flowers. The cut flower makes a showy centerpiece for any gathering. Orchids: Orchids range in color from pure white and pink to shades of blue. A blue orchid is sure to get your loved one’s attention. 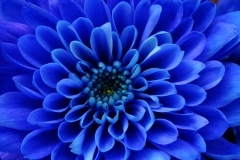 Asters: Aster also come in a wide range of colors from white and pink to shades of blue and purple. 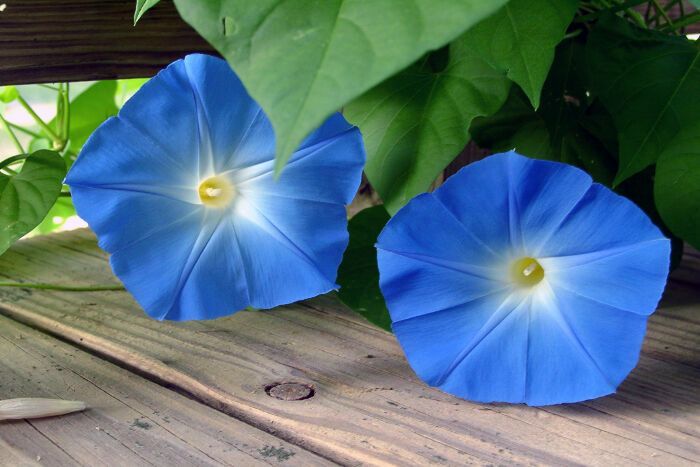 These flowers make a delightful gift in the fall when summer color fades. True blue roses do not exist in nature. That delightful deep blue rose you have seen in advertisements or in displays at the florist has been dyed, most likely from a pure white rose. 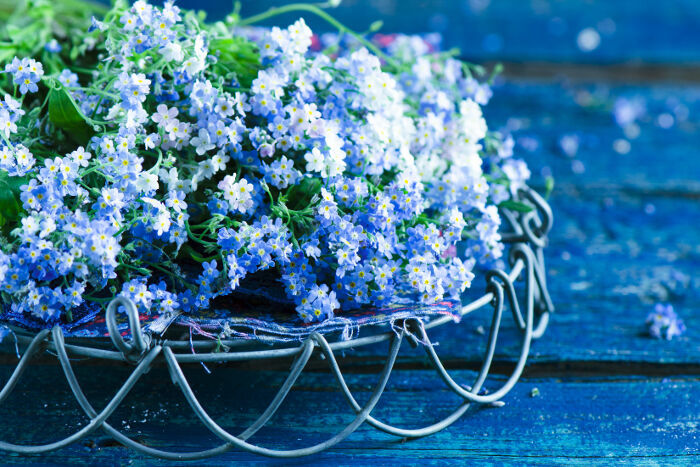 I t doesn’t make them any less beautiful, of course, so if you want to send the message to your love that you find her mysterious and intriguing, go ahead and send blue roses. The fact that they really don’t exist in nature may even add to the fantasy of fairy tale love and passion. 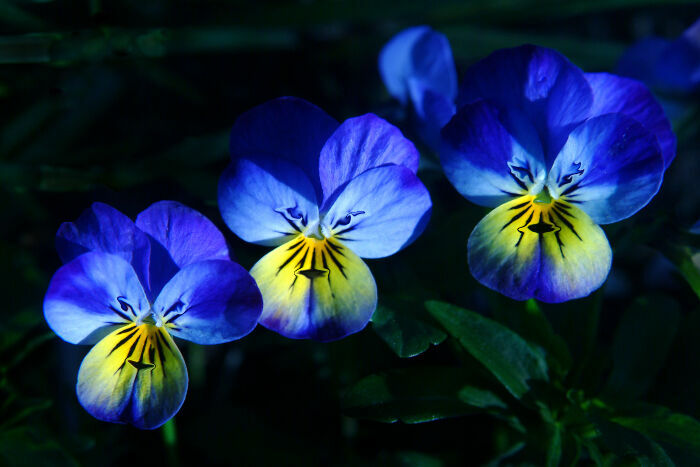 Botanist have been trying to breed blue roses for generations, but the pigment needed for blue flowers does not exist in roses. There are, however, some varieties of roses that have a bluish hue to the bloom. Most tend to be a dusky shade of purple or pink and do not match up to the vision of deep blue roses one sees in photos.